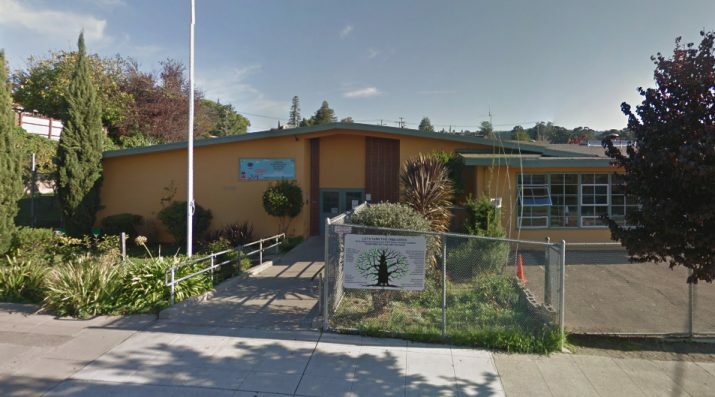 When Urban Montessori Charter School (UMCS) opened in the fall of 2012, it became Oakland’s first public Montessori school. Introducing a powerful, 21st-century-aligned model, the school was committed to becoming a truly innovative and unique Transitional Kindergarten to 8th grade school option for Oakland (and neighboring cities’) families. It serves a socio-economically, racially, and culturally diverse community of children because all children learn about different backgrounds and perspectives by living and working with people from those backgrounds and perspectives. The UMCS mission is to develop self-directed and engaged learners who are academically, socially, and emotionally prepared to succeed in any high school. Montessori: Unlike other Montessori age levels, there is no international consensus defining Montessori secondary education. Building on its foundational model in the elementary grades, UMCS middle grades focus on an individualized education program which provides a concrete path forward toward meeting yearly learning goals, emphasizing integration of subjects, developing metacognitive skills, connecting to the larger community, and the integration of technology. Design Thinking: Students become competent in identifying problems that matter, working collaboratively to develop prototype solutions, iteration through real world testing, and sharing solutions with community stakeholders and users. Arts Integration: UMCS focuses on the process of making over the finished product, emphasizing disposition-oriented habits of mind alongside developing craft. Emphasis on Social-Emotional Learning: The school actively promotes social-emotional learning through Montessori Peace Education, positive discipline, the Toolbox & honoring the light of the child, and mindfulness. A diverse staff mirrors the student population.